Program from behind the wheel. Donald Trump formally unveiled Indiana Gov. 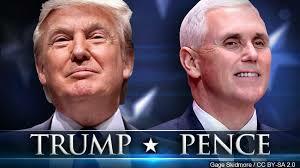 Mike Pence as his running mate Saturday, calling him the key to unifying the Republican Party after a tumultuous primary season. Military coup in Turkey fails. Does Erdogan want his own Islamic state? most Westerners as well – you never knew about the major Arab subculture in South America. politicians. Time to end this. Same as article below with two paragraphs deleted here. country is slipping away from them, into the hands of black and brown savages. members joining our political activist network. 3 Comments on "UPA Report 7.17.16 Anti-Muslim Refugee activist Suzanne Shattuck talks about the Refugee Resettlement Program on great video filmed behind the wheel."